As a Daemen education major, you will get field experience in actual classrooms within the Buffalo area, beginning your freshman year—as opposed to junior year in many other programs—giving you more confidence with students and preparation for your career. 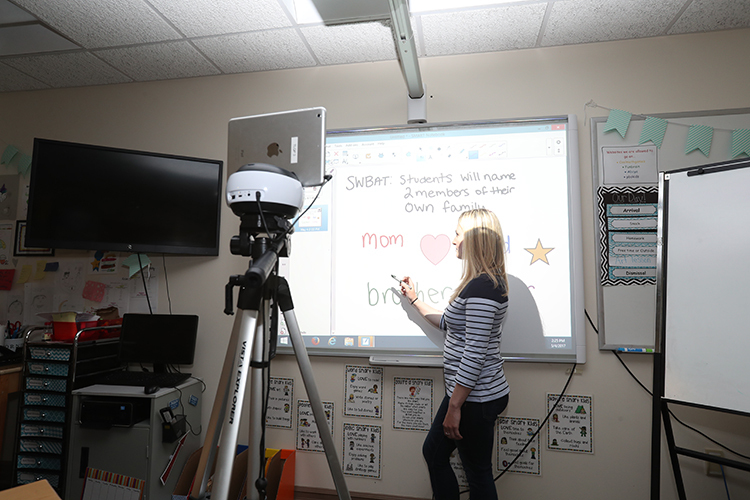 Small class sizes help facilitate enhanced interaction with faculty members dedicated to teaching excellence and providing personal attention to each student. 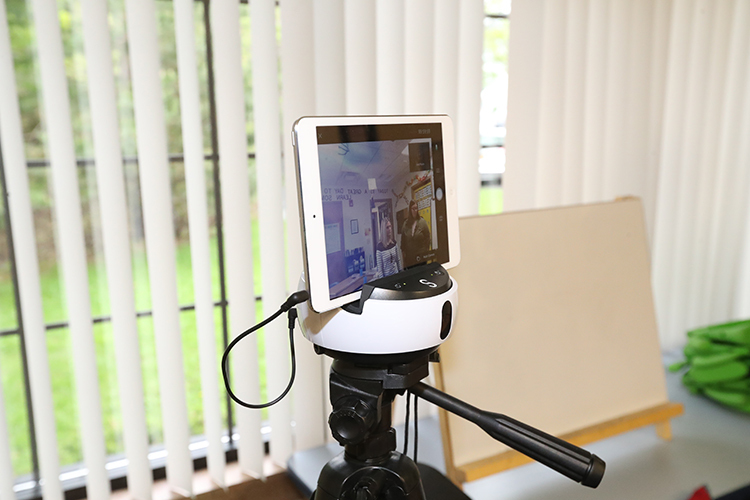 Education students benefit from using video technology as a powerful assessment tool. This hands-on approach, combined with small classes and exceptional instruction, has led our combined pass rates on the annual New York State Teacher Certification Examinations to consistently exceed 90%. The Bachelor of Science in Visual Arts Education is based on the philosophy that competent art teachers are also practicing artists. 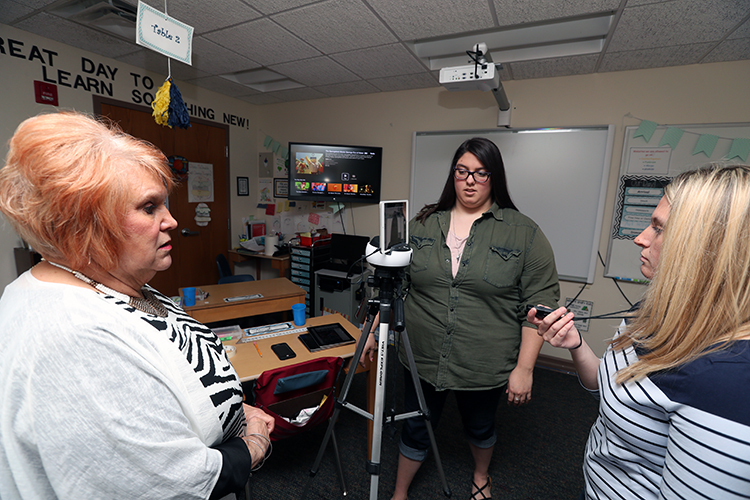 Education students at Daemen benefit from using video technology as a powerful assessment tool. 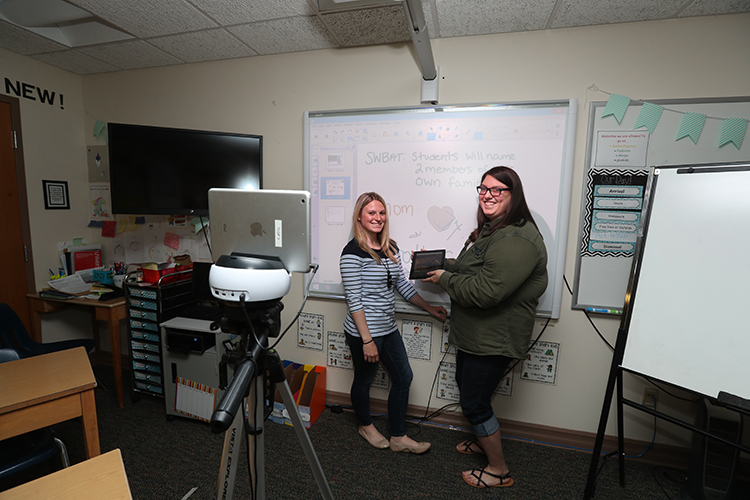 Daemen has invested in a complete range of digital educational tools including Swivl robots, Smartboards, iPads, and educational apps to give our students a distinct advantage. Starting in your first year, structured field experiences will build your confidence through meaningful interactions with Pre-K-12 students. Candidates participate in diverse learning experiences through Daemen’s partnerships with local public, private, and charter schools, educational agencies’, and community centers. In addition, all teacher candidates learn to value service to others through completion of 60 volunteer hours of community service. Julianna, a Daemen Trustee Scholar, is a second-year early childhood/ special education major from Orange County, California. Julianna is a resident assistant, a student assistant in the Admissions Office, is vice president of the Honors Program, and is the president and co-philanthropy chair of Sigma Omega Chi Sorority. In her second semester, Julianna completed observation hours in multiple classrooms. In her third semester, she completed a 45-hour practicum placement in the reading center at Country Parkway Elementary School where she was able to work one-on-one with students. Julianna currently has a practicum placement in a first-grade classroom at the Charter School of Inquiry. Now is the perfect time to consider a teaching career that enables you to inspire others.